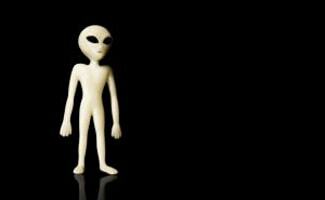 The hunt for extraterrestrial life is facing financial struggle. For hundreds of years as a race we humans have focused on the search for life on other planets. In more recent times however, the money needed to fund these research projects has begun to run dry but there is hope for the future of alien hunting. Professional hunters of artificial intelligence are facing many struggles in this day and age. What is the ATA or Allen Telescope Array? The Allen Telescope Array or the ATA as it is known by the professional “alien hunters” of the world for playing a role in the search for extraterrestrial life but it also has another important function. The Allen Telescope Array used to be known as the One Hectare Telescope or the 1hT and is a combined effort by the SETI Institute and the Radio Astronomy Laboratory at the University of California in Berkeley. The purpose of the Allen Telescope Array which features forty two antennas is to work as a radio interferometer that works both to observe astronomy but also search for extra terrestrial intelligence. The ATA is located 190 miles northeast of San Francisco, California and while it currently only features forty two antennas the intended operation was at one point expected to feature a total of 350 antennas. The ATA became operational on the existing forty two antennas in late 2007; however, in early spring of 2011 the entire operation entered a sort of hibernation when funding ran out. What is the Significance of a Lack of Funding for the ATA? The lack of funding for the ATA means that there is in essence a halt in research in to the search for extraterrestrial life forms. In August of 2011 short term funding was found from numerous sources but unfortunately this short term funding is not enough to maintain the alien hunters program for any length of time. Why is it so important to keep the ATA open for the long term? Without the funding to pay the staff to keep the ATA open all operations have to cease. A cease in operations means that the search for intelligent life, a search that has taken place since the ATA opened has been for naught. Just how does the ATA differ from other “alien hunting” operations though? The ATA has taken advantage of advancements that are not available to other “alien hunting” operations because of their prohibitive running costs. Currently there are very few professional searches for alien life forms taking place and for one of the most advanced in terms of technology and the sheer span of the project, to be shut down is a severe blow to the ET hunting community. How is Seti Handling the Financial Strain of the ATA Project? The funding of the ATA project is not solely dependent upon private investors although the majority of the projects funding since its beginning has been funded by private donations. Seti itself has also dedicated resources to helping to fund its project. One of the ways that Seti has begun to economically “fund” its research is by the creation of the Seti@home screen saver. The screen saver project is designed to send signals from the Arecibo radio telescope back to volunteers from all over the world. This way of budgeting the research allows for various sections of the sky to be analyzed for signals and any strong signals that are found are returned to the program’s server located at Berkeley. For the volunteers the joy of the program is not only in being able to analyze data using incredible technology but it also comes with the potential of receiving a Nobel prize if the first signs of ET life are detected! What does this project provide for Seti and the ATA project? It provides volunteers rather than requiring the additional funding to salary employees to analyze the telescope data. Just How Much Money Is Required to Keep ATA Above Water? For the Seti Institute to continue running the ATA they estimate that they would require funding of $2 million. While this amount may seem ridiculous to the average person, to the average scientist this is a mere drop in the bucket in terms of funding that is being designated to other scientific research projects. Why does Seti require so much funding? It’s not a cheap process to keep the telescopes at the Allen Telescope Array operating and on top of the overhead there is also the cost of funding employees to keep the project operational and to analyze the data the project retrieves. In order to keep running at a professional level the ATA requires funding for both operation and the manpower needed to translate the results of ATA findings. What is the Significance of ATA? Why Should We Care? When the number $2 million gets thrown around many people find themselves asking why they should care about a project that has no guarantee of being successful. The point is that the Allen Telescope Array is one of the most advanced attempts of the human race to search for alien life forms. This search is not some plot for a science fiction film; we are not searching for extraterrestrial life so that we can engineer them and put them to work for ourselves. Rather, the Seti project is searching for extraterrestrial life forms so that we can attempt to find our place in the universe. For all of those who have ever asked why we are here or what our importance is in the universe, Seti and the ATA project could very possibly produce answers. The aim of the entire Seti project is to discover not only where we fit in to the grand scheme of things but also how we came to be and perhaps also where we are headed. There is not a face on this planet that would not want to know the answer to these questions even if they were to deny any wish to know about potential alien life forms.